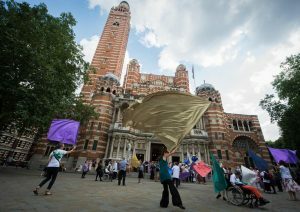 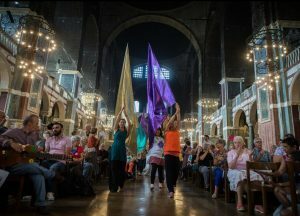 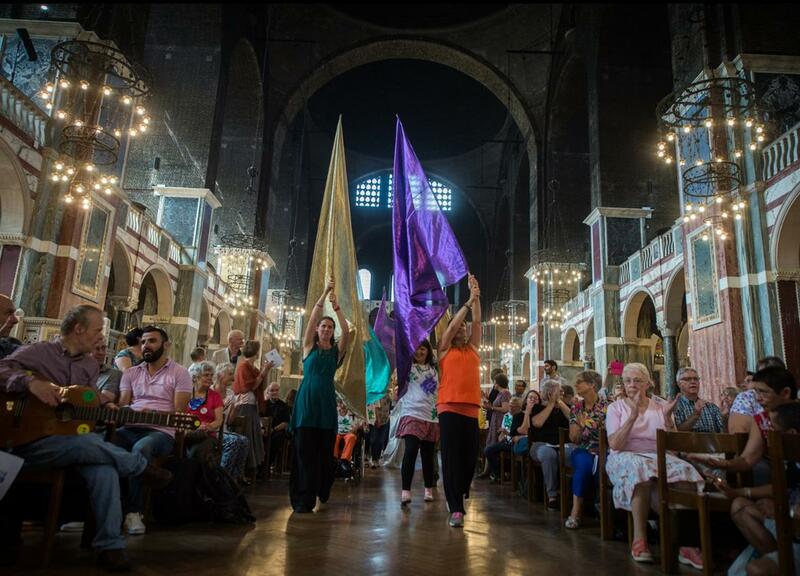 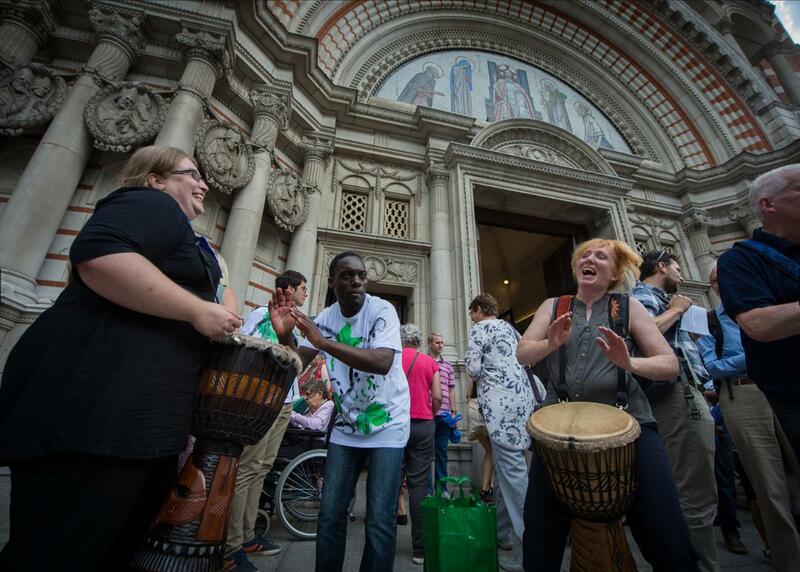 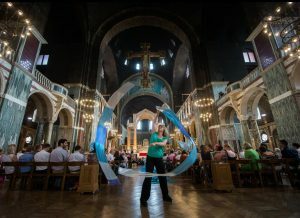 On Saturday 14th July it was such a privilege for Movement in Worship and Rhythm Makers to be part of the London L’Arche 40th anniversary celebrations at Westminster Cathedral. L’Arche is an amazing community of people with and without learning disabilities belonging together. 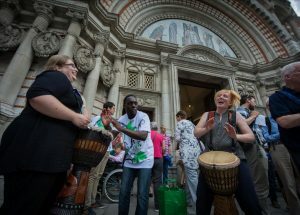 We had great fun teaching a workshop to 50 people from the London community, facilitating them to use rhythm and flags both inside and outside of the cathedral. 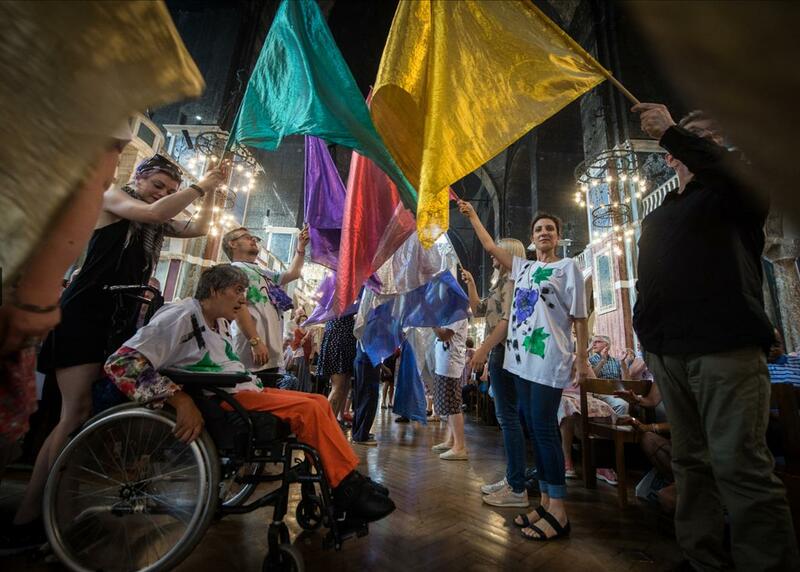 The celebration service was full of life, colour, creativity and joy.